This may be the first time in my life I wanted summer to be OVER. In Georgia we have had 63 days with temps in the high 90’s and that is before they calculate the heat index. Hope is on the way… I saw camellia buds today. Cooler weather is around the corner. I can’t believe I was as excited to see these , as when I see the first daffodil pierce the ground in January. This entry was posted in Shade Gardening and tagged Camellia. Bookmark the permalink. Today I watered some of my beds – the first time since last Friday. It has been sort of rainy here due to that low pressure system that keeps moving back and forth between Louisiana and here. I cut the grass this evening and discovered that four ferns in my fern bed are burning to a crisp. The recent rains are too late I think. Oh well, more stuff to buy next year. I agree with you on summer – enough already! Far too hot for me! I was complaining at 29 Celsius! 80 or so Farenheit. 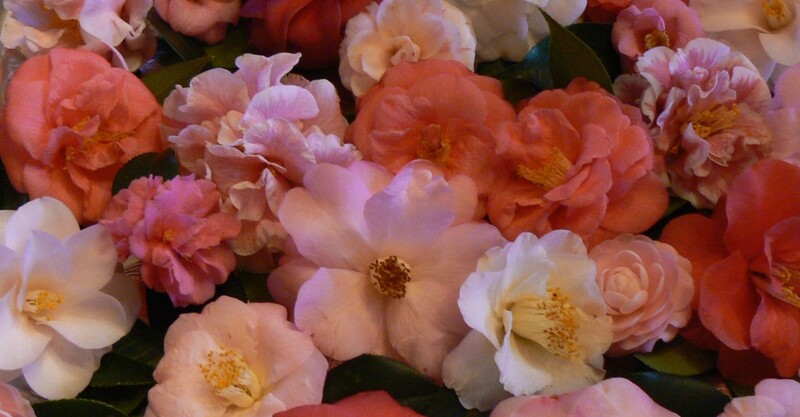 At least you can grow beauties like camelias there. Is that compensation? Hi Sandra, it has been crazy hot here as well, not sure how many days, but the longest I can remember, and still the same for the next week. It must be cooling down some (at least at night), some of the leaves in my garden are starting to turn colour. Not only hi temps, my garden hasn’t experienced rain in 6 weeks 4 days. Crisis. Stressful. Put in dozens of huge plants last Christmas. Only the strongest and fittest can survive a Georgia summer… we are the toughest, Sandra! That’s some now 75 years of experiencing GA summertime. How we all love AC down south!!! But start watching the sky daily – when it gets super, deep blue and those clouds are just billowy white – – then that’s a small hint summer is winding down and fall soon will be here – also watch the shadows in late afternoon as they begin to look different, too.